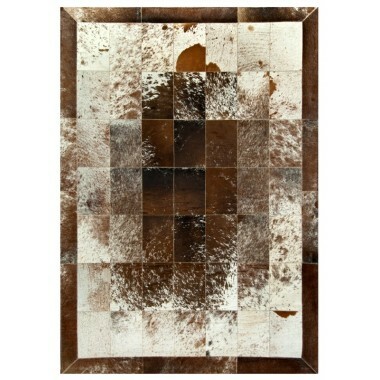 This modern work of art will go great in any room. 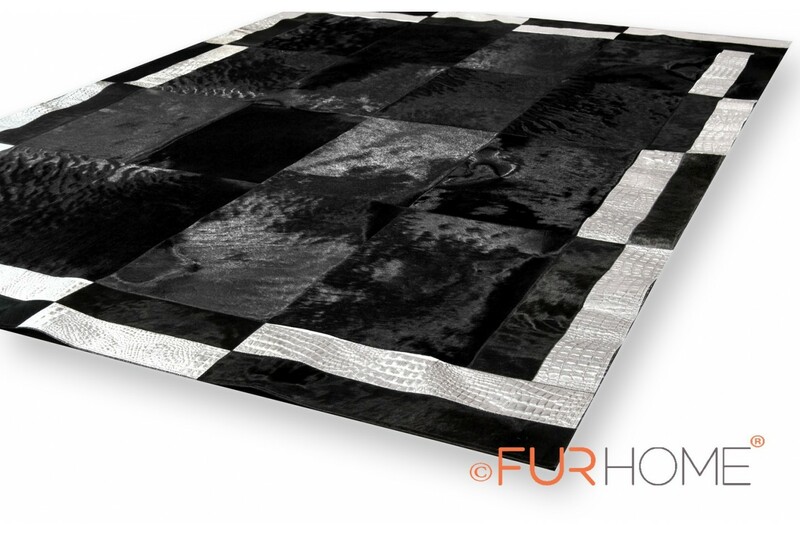 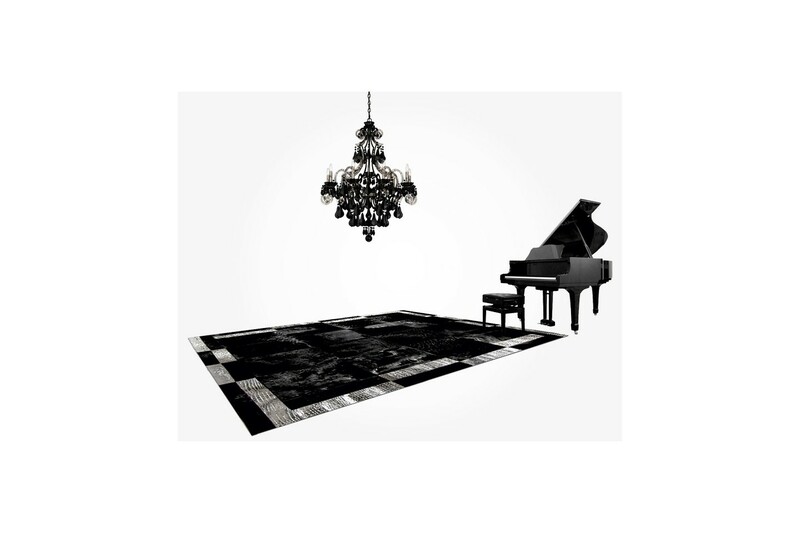 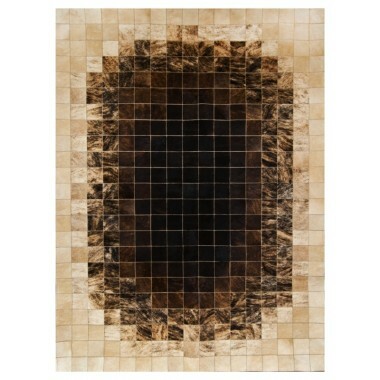 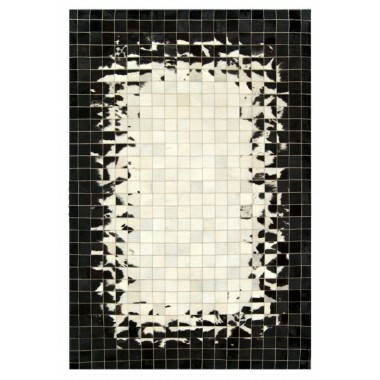 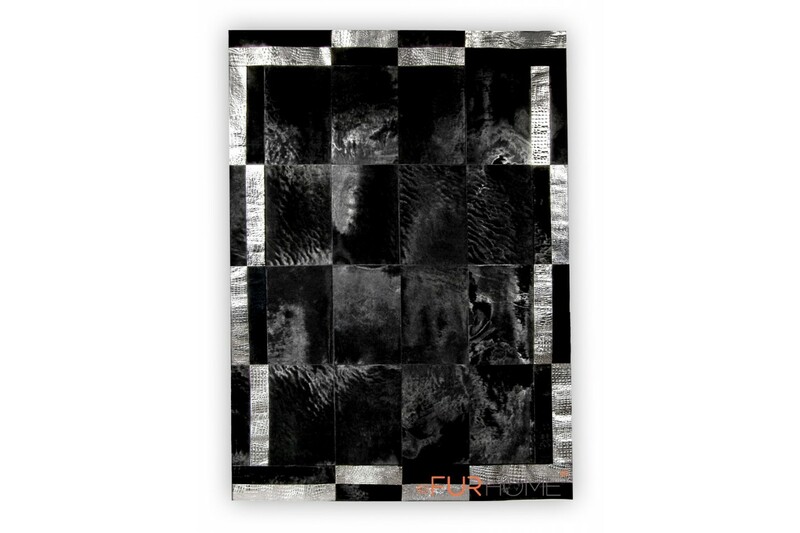 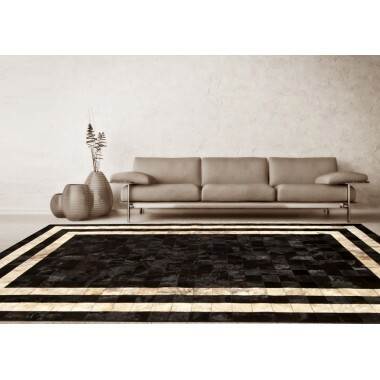 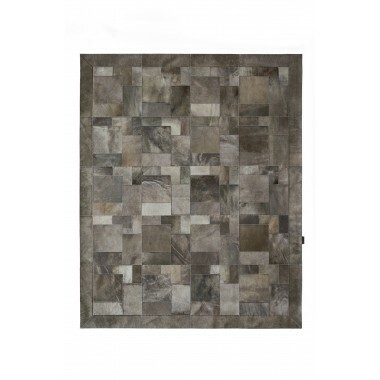 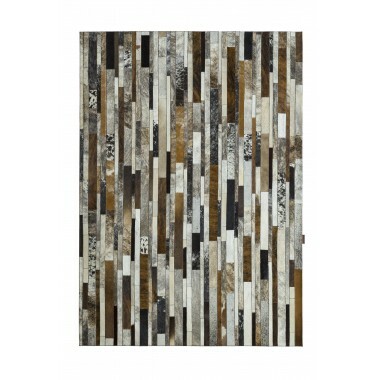 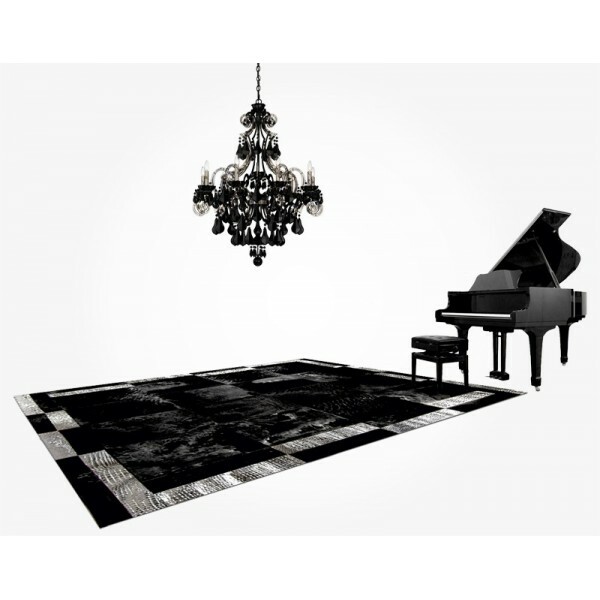 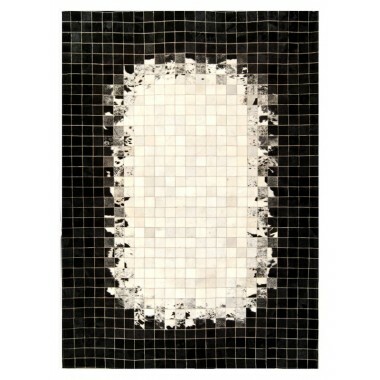 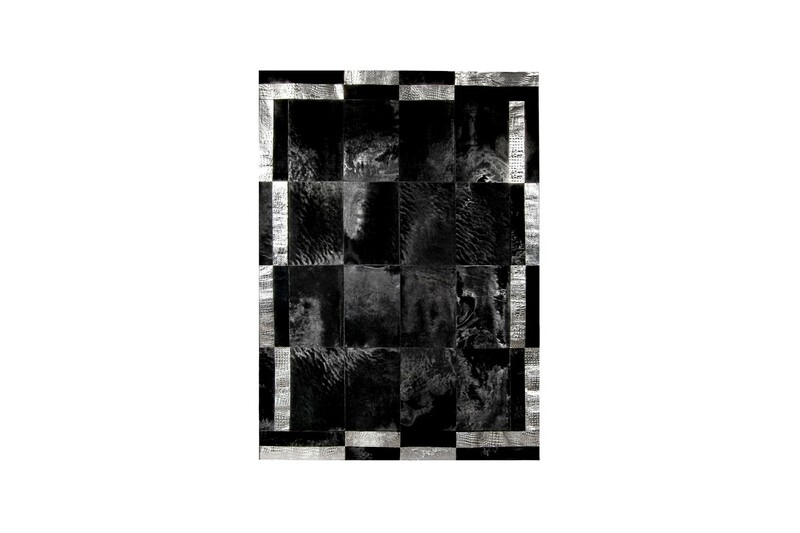 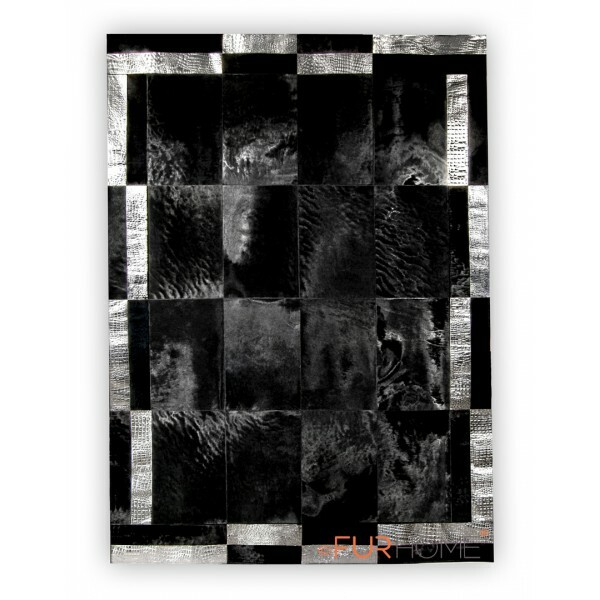 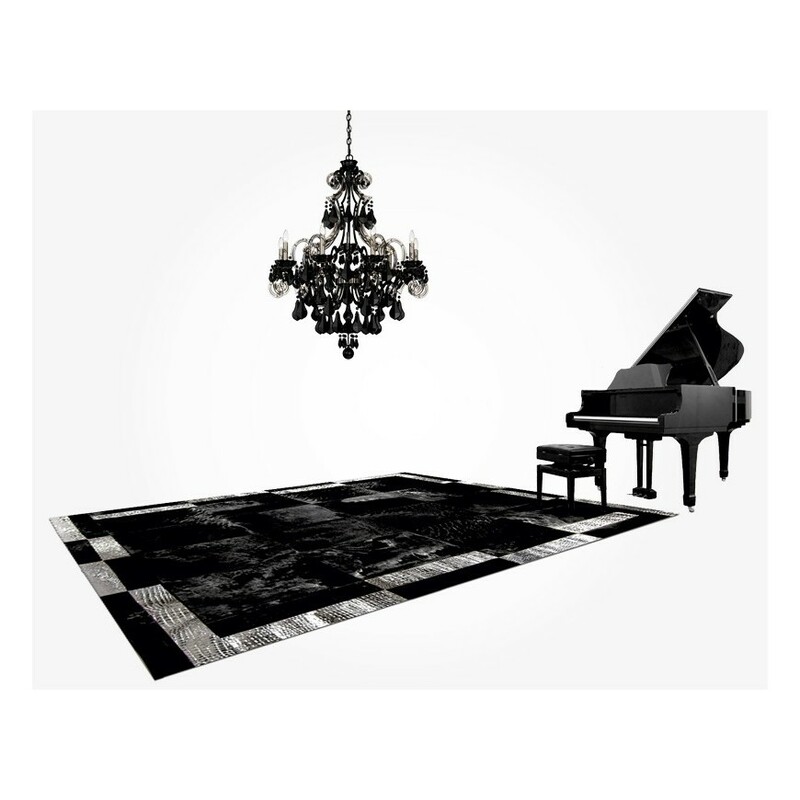 This elegant area rug, with its black and silver colors, will accentuate the furniture in the room. 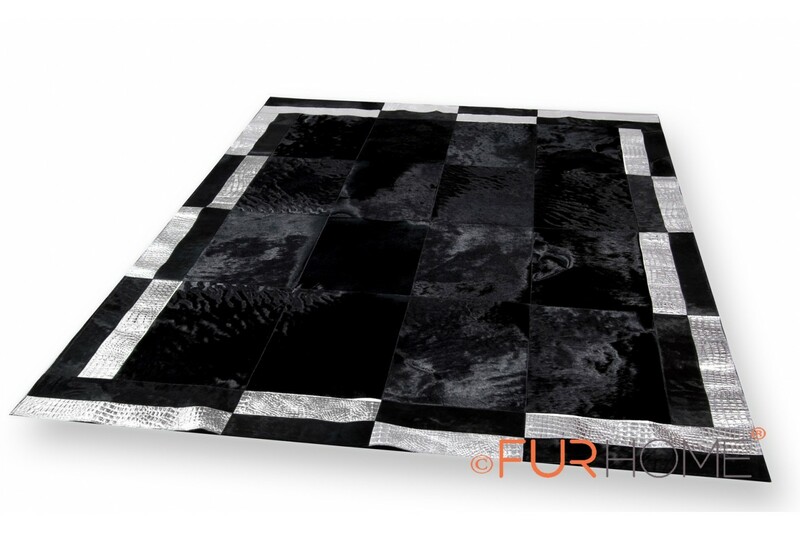 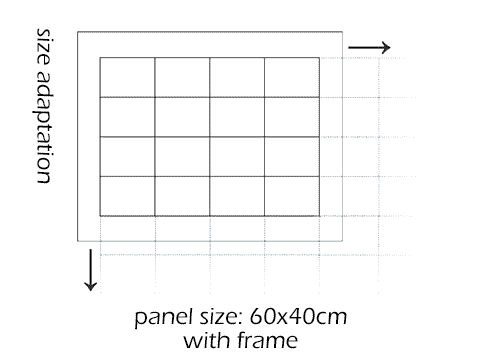 The black panels are 40 x 60 cm and the double frame Crocco silver leather panels are 40 x 40 cm. 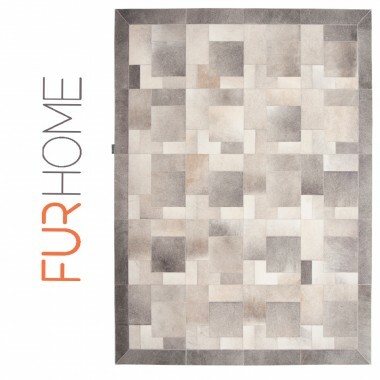 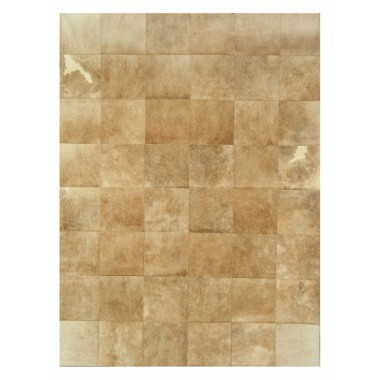 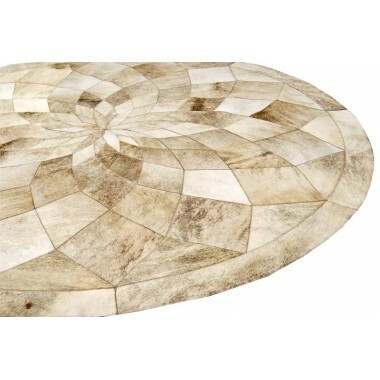 Built to last, this durable and sturdy rug is made from the best and strongest parts of the cowhide. 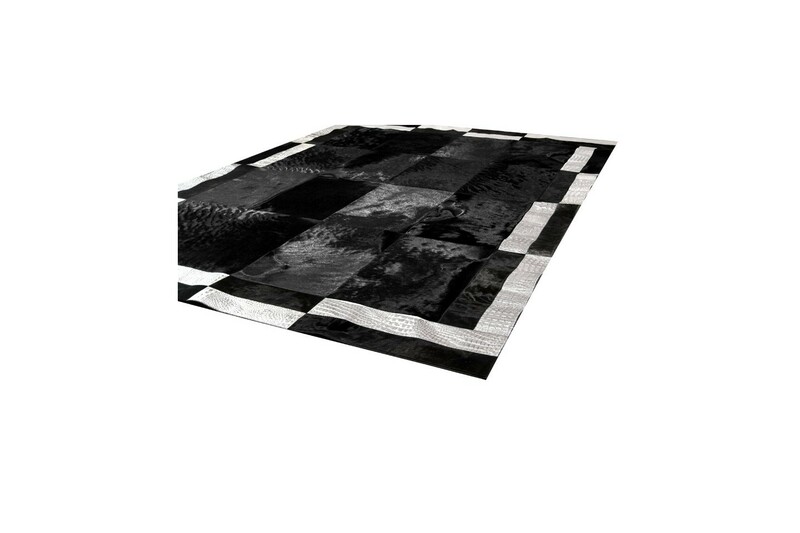 Each rug is made by hand and sewn together with special sewing machines. 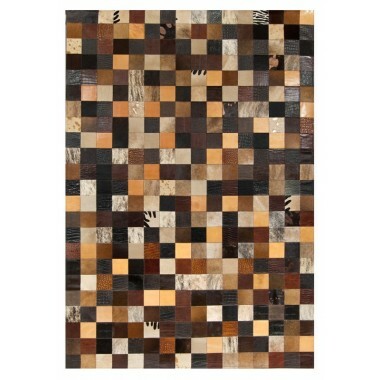 A handmade rug takes time to make and because of this each individually made rug is completely one of a kind. 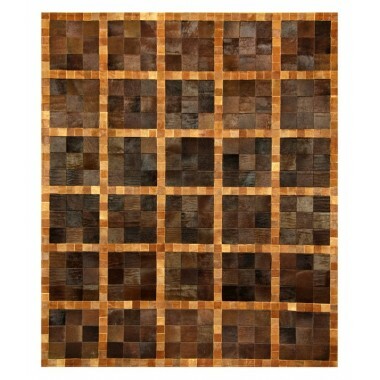 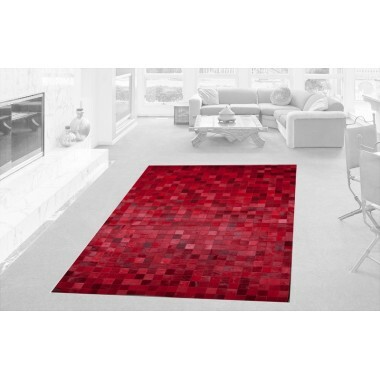 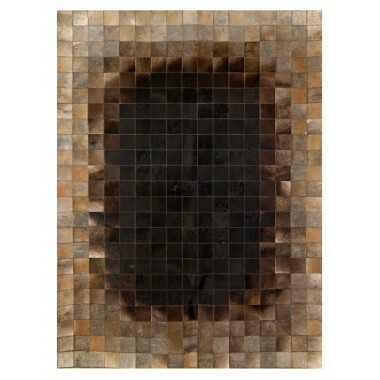 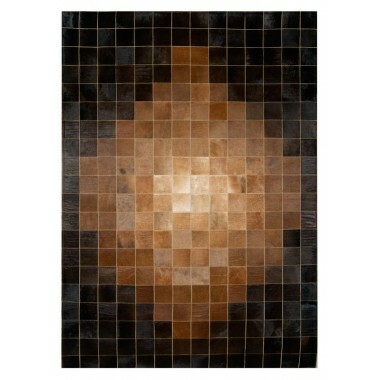 A rug of this degree will be the center piece in any room. 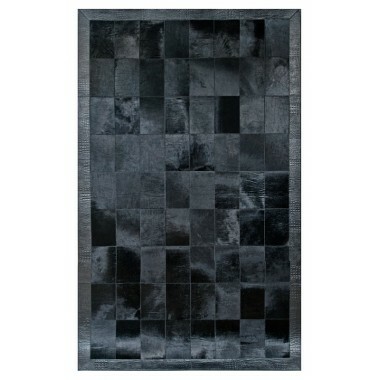 It will be the cause of many great conversation starters as people ask where you bought this terrific rug. 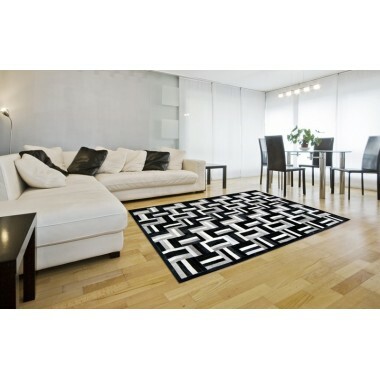 You can tell them with confidence there is no other rug exactly like it. 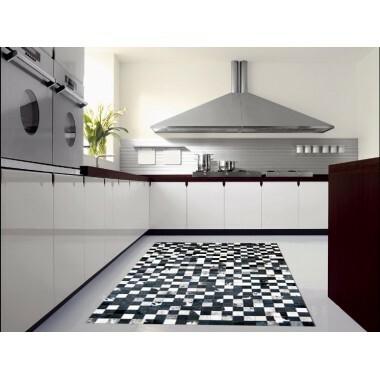 These rugs are best suited for kid’s rooms. 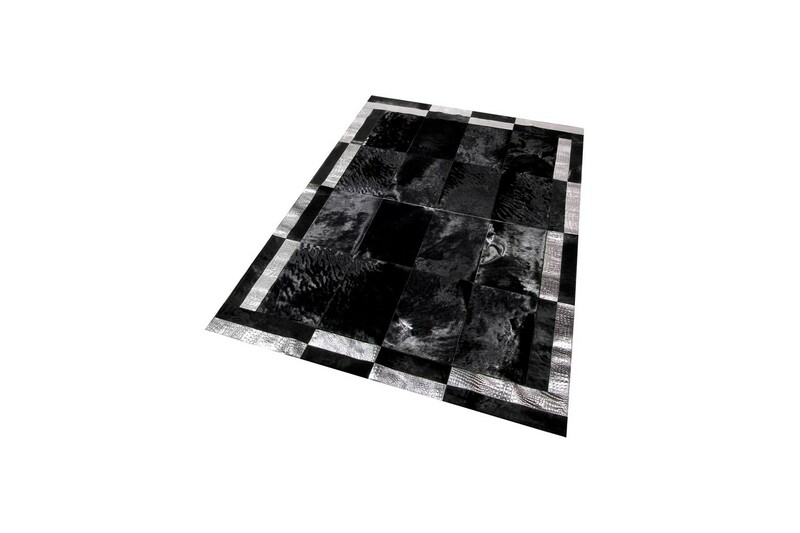 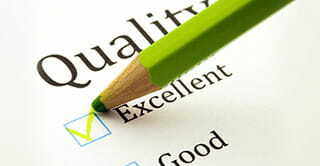 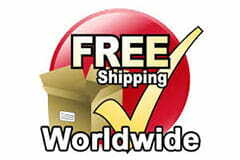 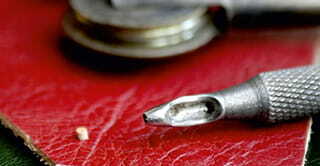 All this process offering high quality, high durability, perfect finishing and great natural shine. 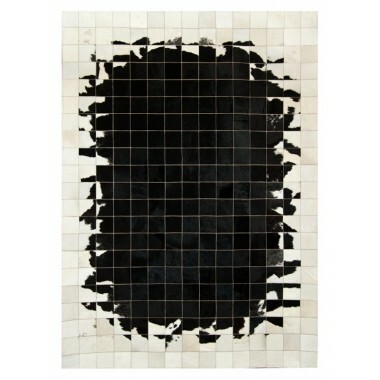 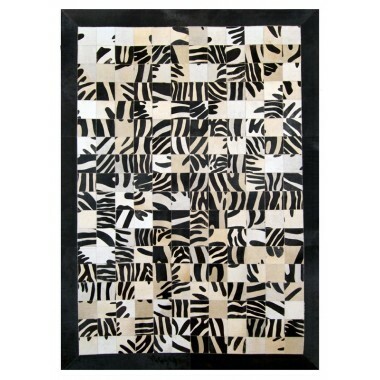 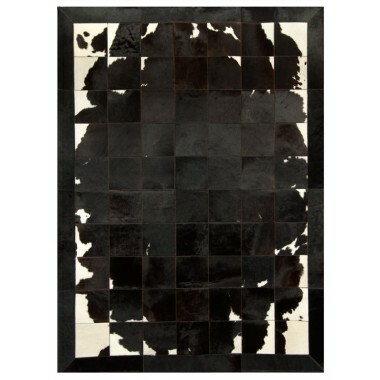 Our cowhide rugs are unique, no two are the same so you can be sure that your rug will stand out from the crowd. 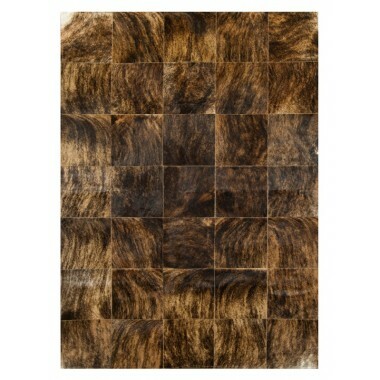 Do you need more reasons to buy a cowhide rug? 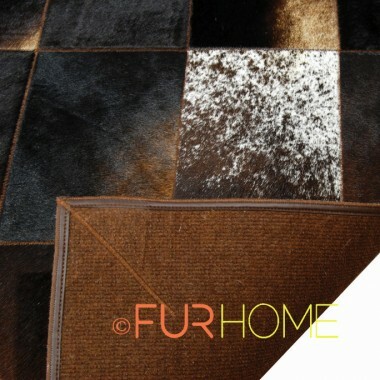 Decoration ideas for internal use inspired from the value of fur and leather throughout times. 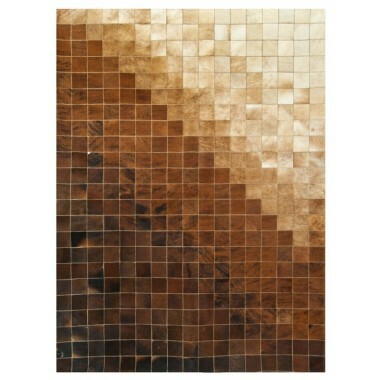 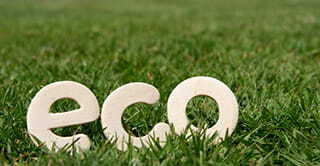 Creations from natural materials that absolutely harmonize with space providing warmth and beauty. 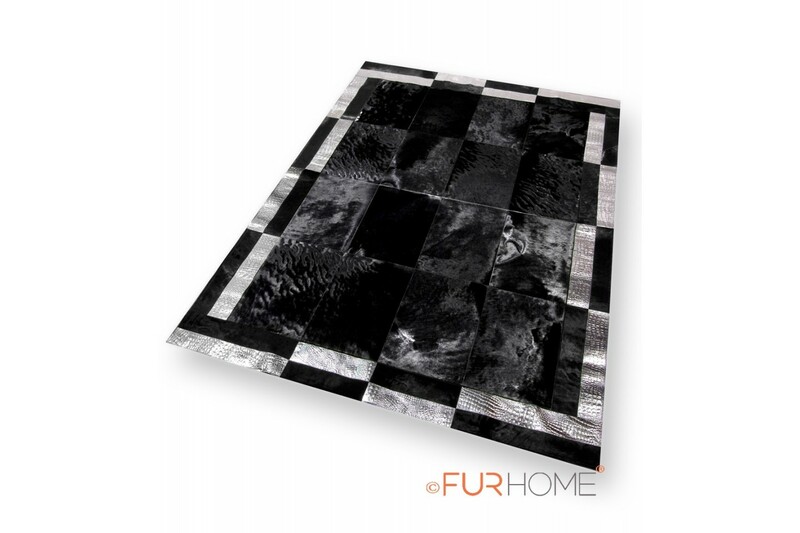 The natural characteristics of cowhide combined with our manufacturing expertise makes these patchwork cowhide rugs naturally stained and extremely durable. 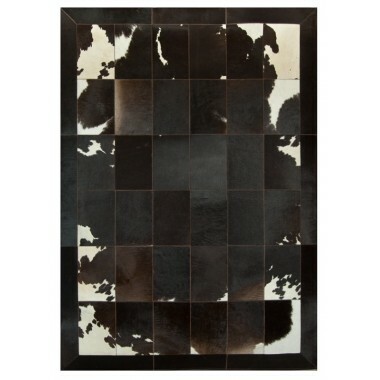 All of our leather rugs are individually hand-crafted and are the finest in the world. 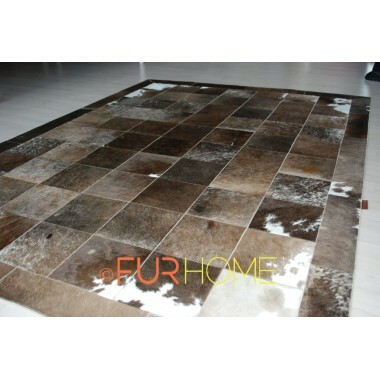 When you buy a leather rug or carpet from us, you get the best quality and natural characteristics. 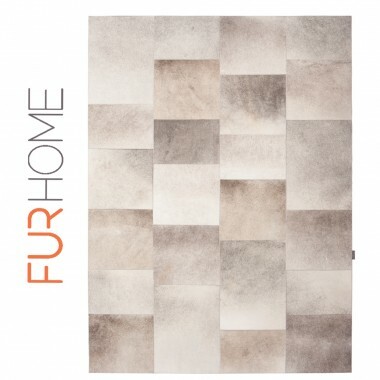 * All FUR HOME products are handcrafted in Kastoria, Greece, under EU product standards and regulations (find out about us).